Share your favorite recipes with us today! 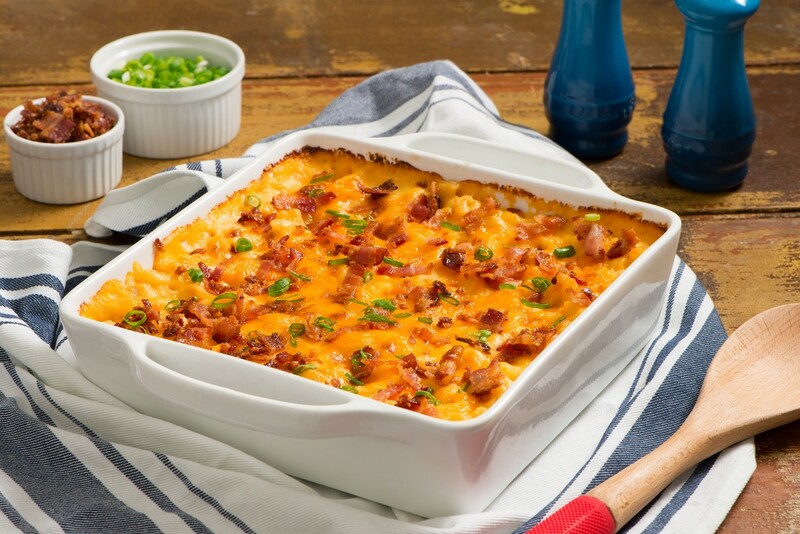 Colby and cheddar cheese make this classic dish creamy and full of flavor, and topping it with Carolina Pride lower-sodium bacon gives it a satisfying crunch. Preheat oven to 350°F. Cook macaroni according to box instructions. Rinse with cold water, drain and set aside. Melt butter, then add flour and mix for a roux until all lumps are gone but not long enough for butter to change color. Add milk. Add salt and pepper to taste. Add all of the colby cheese and half of the cheddar. Bring to a boil, stirring occasionally. Place macaroni into a glass baking dish or slow cooker. Pour mixture over the top, then sprinkle with bacon. Bake 45 minutes or until cheese starts to brown. 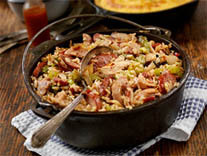 If using slow cooker, heat on low for 2-3 hours or until bubbly.